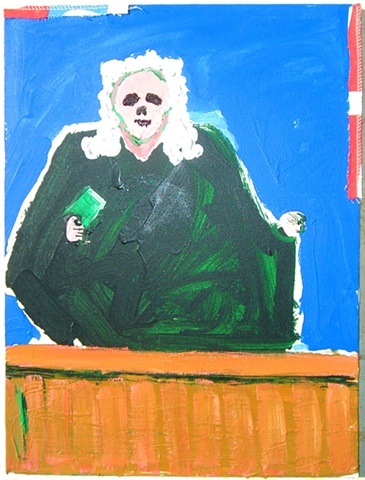 This image depicts the futility of death penalty collateral appeals filed under the doctrine of Habeas Corpus. A print of the piece is in the collection of Professor Jules Epstein. The original, as well as prints, are available for purchase.